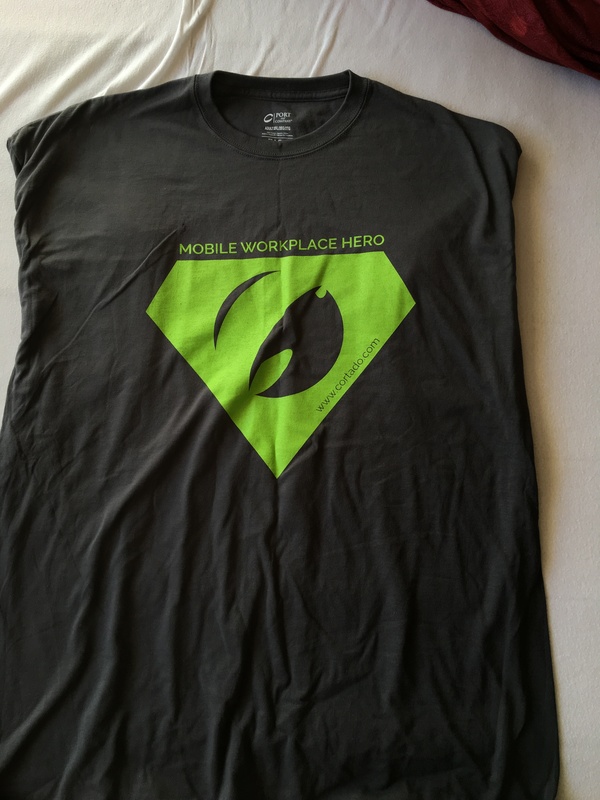 So here’s the second and last part of this T-Shirt review for this years VMworld. And as before I hope you can find this useful for Barcelona. Quality: Feels really nice and soft and guessing the 40% polyester will help it stay better in shape than 100% Cotton. Print: A city landscape with a Platform 9 blimp on it and a few different technologies that they support I guess, pretty low-key and thus usable elsewhere than home. Quality: Somewhat stiff version of this shirt, again have to wait and see whether or not this Ring Spun cotton does anything for shrinkage when washing these T-shirts. 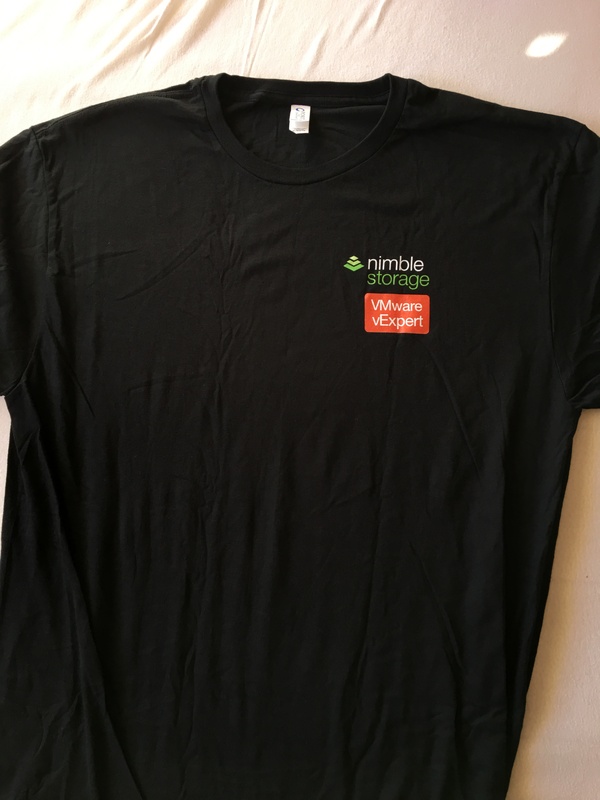 Print: The Nimble Logo and then an kinda ugly red version of the vExpert logo both on the front and back. That would have been better with the normal White on Black. 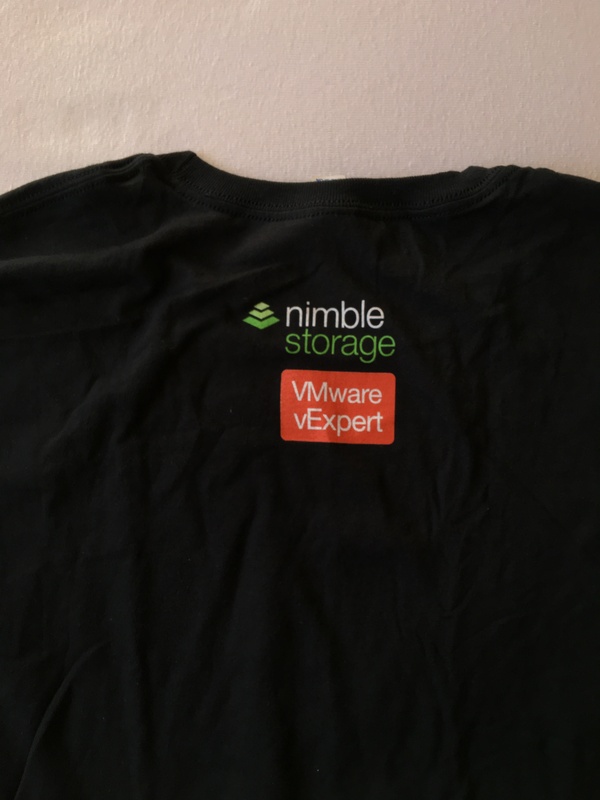 Conclusion: Both the vExpert and only size XL drags this shirt down. 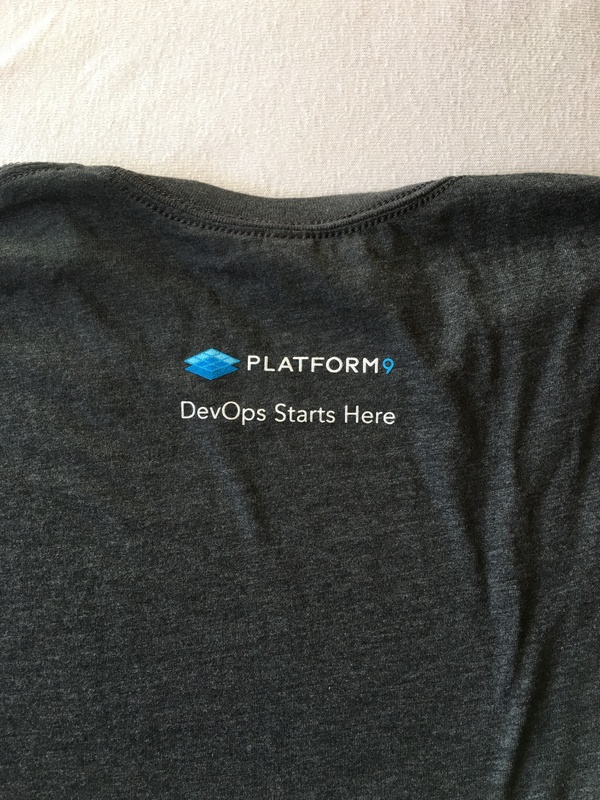 Quality: A bit thicker than the other T-shirts from C Port, but otherwise seems quite ok. Guessing it will warp some when washed. Print: A superman like version of the Cortado logo, but very stiff and you can feel that on the inside of the shirt. 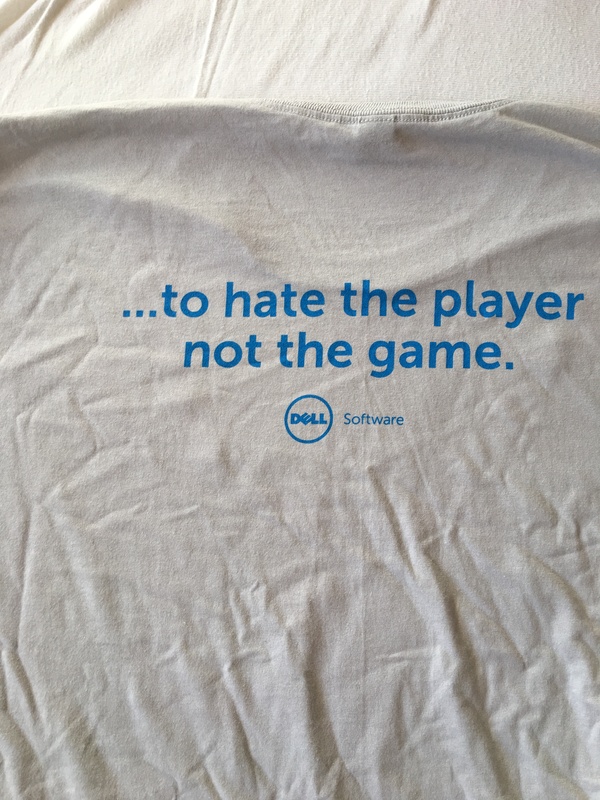 Conclusion: What brings this shirt down is the Stiffness of the logo, which you can feel like plastic on the inside of the shirt. 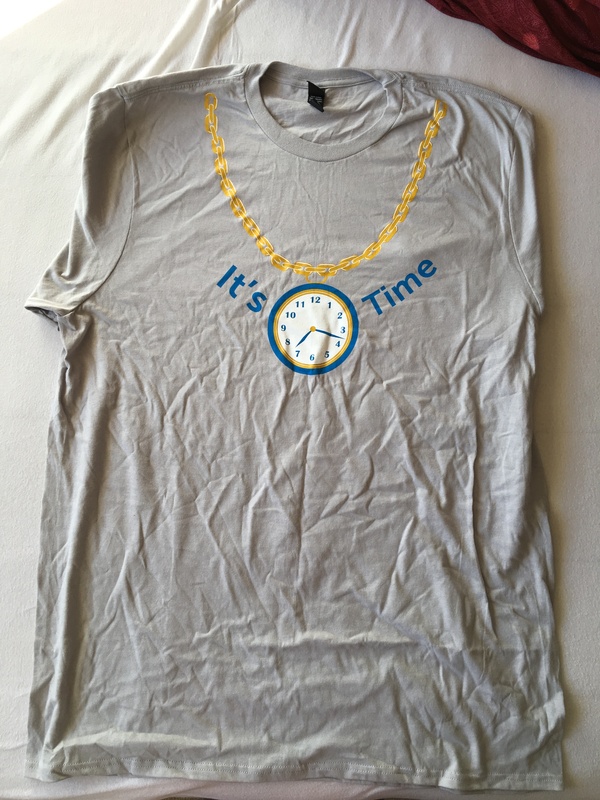 Print: A print that’s supposed to make it look like you have a clock on a gold chain around your neck. and a message that’s continue on the back. That’s it for this year. 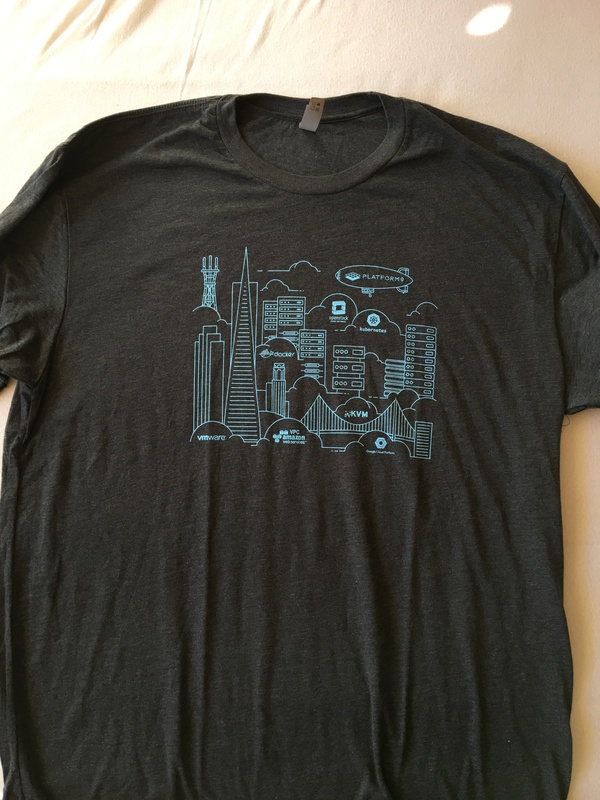 As I wrote in the first post, I haven’t had much time in the Solutions Exchange and therefore didn’t get to grab that many T-Shirts this year.